Smart Controller now works with Google Assistant. 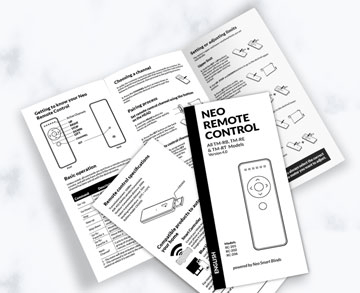 All Neo Remote Control models and all Wand Blue Motor models have new, simplified instructions. Smart connectivity via local Bluetooth® control with your smartphone. 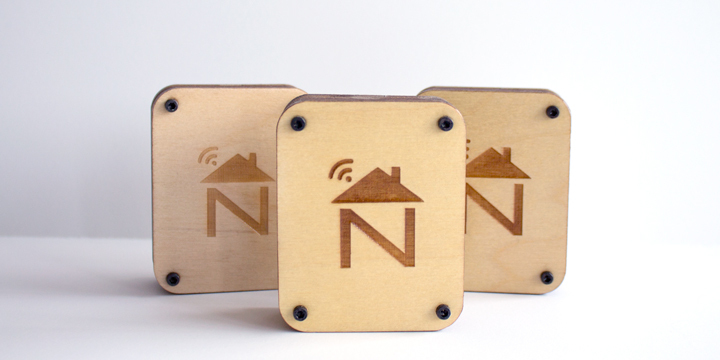 No need to connect to your Wi-Fi or router. With Smart Controller and its app you can control your blinds from anywhere. Easily integrated with Amazon Alexa and other third party home systems. 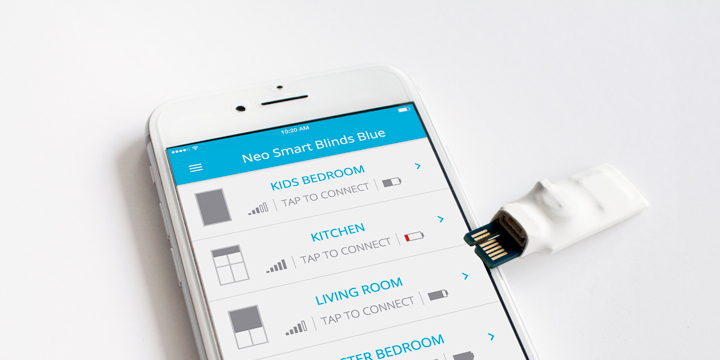 With Blue Link and its app you enable direct Bluetooth control of your blinds with your phone. In our catalogue you will find detailed information about our Blue Motors, remote controls, the Smart Controller, and also, our newest product, Blue Link. 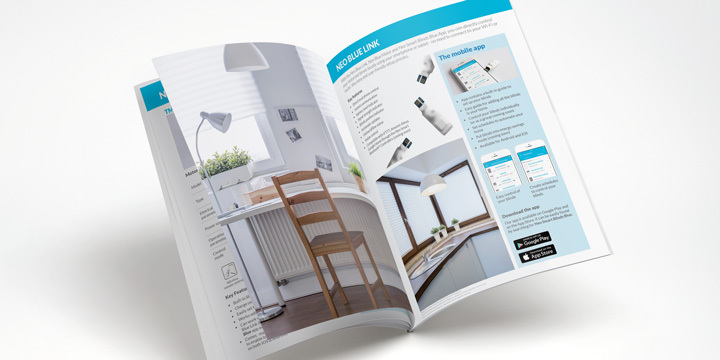 In our catalogue you will find detailed information about our motors, remote controls, the Smart Controller, and also, our newest product, Blue Link. Visit the page below to access technical information and printable instructions. Forgot to close your blinds while travelling? 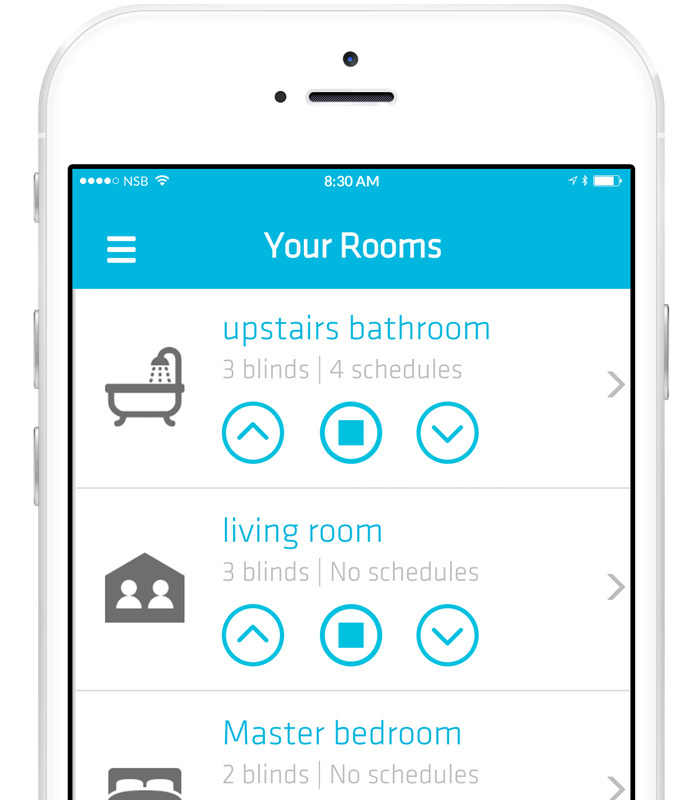 No worries, with Smart Controller you can control your motorized blinds anytime from anywhere, using your smartphone, tablet or any computer.